Has your car been in an accident? 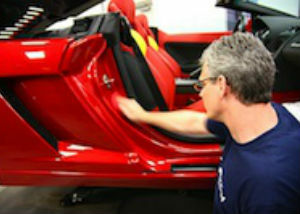 You will need prompt collision repair services to bring it to its proper shape. Count on Altoona Auto Body. We provide top-notch collision repair services with superior craftsmanship, cutting-edge repair techniques, and outstanding customer service. You will also be happy to know that all our technicians are I-CAR certified. We guarantee you will be satisfied with our work. Altoona Auto Body is a family-owned and operated business. Our highly trained and certified auto body technicians have over 50 years of combined experience. Your insurance claim number is all we need to begin the repair process. We’ll work directly with your insurance company to efficiently manage the repair process, and take the hassle out of your collision repair. Call today and set up an appointment for complete auto body repair.